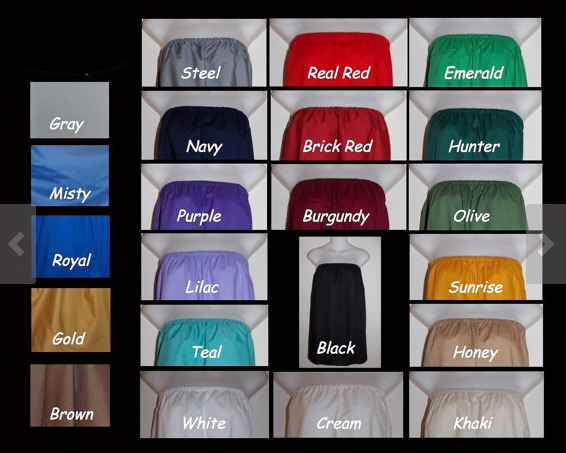 These plain renaissance drawstring skirts are made of soft lightweight cotton. They have a 120" circumference and are 42" in length. The waist closes with a drawstring, which makes it a ones size fits all skirt. These are perfect for hot faire days, even doubled or tripled up they will still be light and airy.